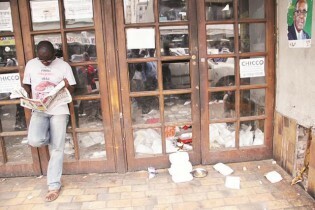 Harare’S Ximex Mall has been converted into a dump site with illegal street dealers and passers-by throwing litter into the abandoned building.Owned for years by property mogul Sam Levy, who converted the former Duly’s car showroom first into a department store and then into a shopping mall, the building was finally sold to NSSA who closed it five months ago for demolition so that a modern multi-storey and multimillion-dollar shopping and office complex could be built on the site, a complete city block ready for development. But while it is closed, and before the planned development, is has been turned into a dump. Dozens of street dealers – who trade mainly in cellphones and accessories, and foreign currency – have made Ximex their base of operations for several years, and have been largely responsible for converting a middle-market shopping mall into a down-market mall. But with the shutdown of the mall they now have the run of the place. It has also been alleged in the past that drug dealers, who merchandise marijuana and cocaine, also work from the mall. Police raids of the place have become infrequent since the mall was shut down, perhaps because in the past shop-owners used to make complaints about the presence of the dealers who disrupt traffic and are a general nuisance to passers-by. The street dealers, now working with virtual impunity, toss their rubbish into the building through smashed windows. Ximex is now littered with plastic and other waste. Others get inside the building through the smashed windows and relieve themselves in there. Situated opposite another mall, Nhaka Parade, and a growing fast food chain, Ximex is also close to the upmarket Joina City and has become a real eyesore in the centre of the capital. 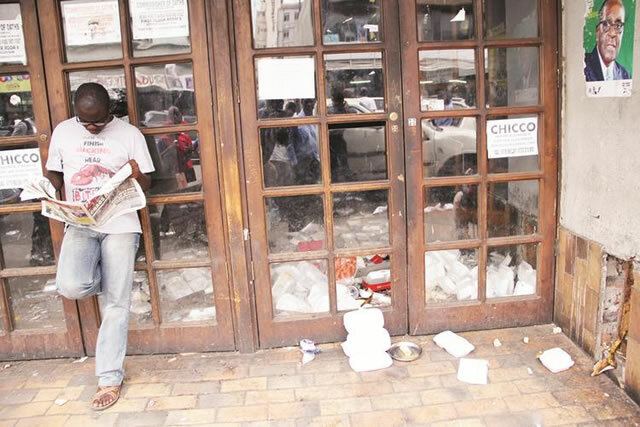 Residents have expressed their dissatisfaction with the failure by NSSA to take charge of their building, and with police for not being more vigilant in ensuring order in the city centre. “Ximex Mall is now a disaster. It is now a dumpsite. Urine, human waste and litter are being thrown inside. I wonder what council and NSSA are doing about it,” said Mr Prosper Hove. Many people now try and avoid passing by Ximex Mall for two reasons: they do not want to be harassed by the street dealers and they don’t want to walk through the filth in the area. Last week, Harare City Council Town Clerk Dr Tendai Mahachi pledged to look into the matter. “It is not possible for us to go in and bulldoze down the place and start cleaning it because the property does not belong to us, but to NSSA. “What I can say is that we will take the matter to council and see what we can do about it because it is our duty to keep the city clean,” he said. The Herald could not establish what NSSA was doing about the sad state of Ximex Mall as requests for a comment went unanswered. Last year NSSA said it intended to demolish the structure and erect a multimillion-dollar shop and office complex.